September 24th, 2018 – A chef in Maine has come up with what she hopes is more than a half-baked idea for treating lobsters more humanely: she’s getting them stoned. Charlotte Gill opened Charlotte’s Legendary Lobster Pound seven years ago and, like many other chefs who reign over crustacean fare, has wondered how to make their transition from tank to pot easier to digest. Knowing that lobsters can feel pain, Gill has tried to break away from the traditional preparation of simply throwing the live creatures into a boiling pot. As a licensed medical marijuana caregiver, she decided to see if exposing the lobsters to weed would sedate them thereby making their inevitable end less traumatic. Gill set up her experiment by creating a “hot box” and finding an agreeable test subject. Enter Roscoe. He was placed into a box with roughly two inches of water at the bottom, and then stayed put for a few minutes as marijuana smoke was blown in through the bottom of the box. Gill then observed Roscoe for three weeks and found that his demeanor changed. He was calm and did not use his claws, which were now band-free, against fellow lobsters back in the main tank. He also may now be on a perma-high since being released back into the ocean as a parting gift for being the guinea lobster. 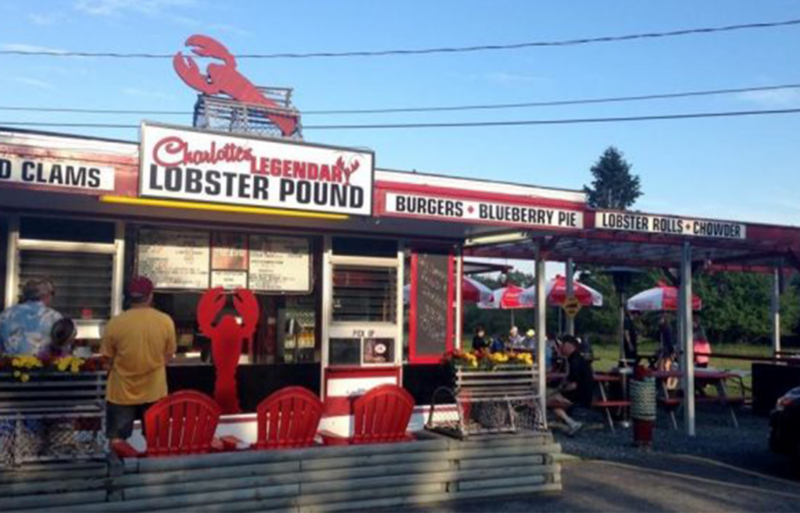 Customers at the Lobster Pound currently have their choice of ordering off the sober menu or the stoned menu. 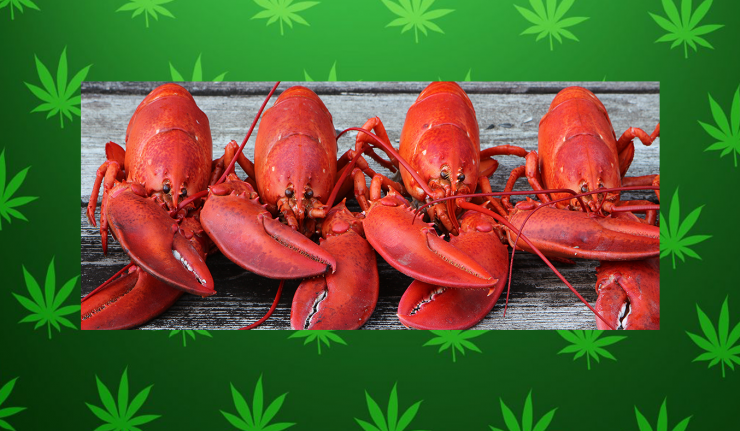 Gill boils and steams lobsters while they’re still alive but also has a separate area where the creatures get the cannabis treatment before being steamed. And for any parents who worries that their teenager keeps suggesting the restaurant because they think they’re getting an edible, the chef can calm your fears. “THC breaks down completely by 392 degrees, therefore we will use both steam as well as a heat process that will expose the meat to 420 degree extended temperature, in order to ensure there is no possibility of carryover effect (even though the likelihood of such would be literally impossible),” Gill said. PETA, the People for the Ethical Treatment of Animals, doesn’t seem to be buying what Gill is selling, and some people on Twitter seem to agree. There is no evidence to suggest blowing weed smoke at lobsters has any positive effect, or any effect, so it might be a brilliant marketing move which is concerning because lobsters have marketing degrees but never get a chance to use them. Chef in Maine: So I’ve found that I can make the lobsters high, and then it’s a more humane way of killing them.